To analyze the frequency of inappropriate hospitalization in cataract surgery and the type of related determinants. A nested retrospective case–control study was carried out on 2708 consecutive cataract surgery patients operated between January 2013 and December 2015. All cases with inappropriate hospitalization (day surgery or ordinary hospitalization) were compared with a control group of cases treated in an appropriate (day service) regimen. The predictive value for inappropriate admissions to the hospital was assessed using a logistic regression model. Significant variables from the univariate analysis were included in a multivariate model. Forty-five cases (< 2%) of inappropriate hospital admissions were recorded. Residence, heart disease, tremors, anticoagulants, intraoperative floppy iris syndrome were not related to appropriateness, while psychotic disorder (OR 12.571, p = 0.018), anxiety-depressive syndrome (OR 7.818, p = 0.010) and use of antipsychotropic drugs (OR 7.724, p = 0.002) were related to the inappropriateness of admission by univariate and multivariate analysis. Previous systemic surgeries were predictors of ordinary hospitalization by logistic regression analysis. A greater presence of hypertension, diabetes mellitus and fellow eye pseudophakia was noticed in appropriate hospitalization cases. 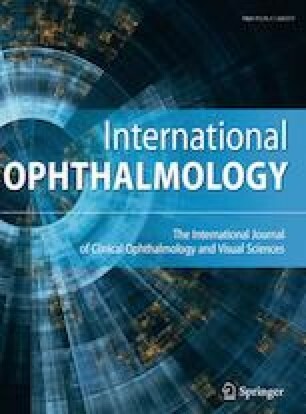 This study detects the predictive role of psychiatric disorders as determinants of hospitalization inappropriateness in cataract surgery. The negative correlation between inappropriate hospitalization and conditions such as hypertension and diabetes points out that in the elderly population common diseases are effectively addressed, in contrast to the difficult management of psychiatric patients. Prior systemic interventions represent factors inducing transfer from day service to ordinary hospitalization, highlighting communication problems related to difficult coping with an outpatient surgery setting.